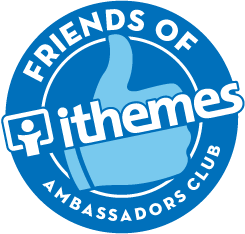 Friends of iThemes is a special group of our amazing customer ambassadors who want to get the inside scoop about everything going on at iThemes. Customers that become part of the club will be able to take part in exclusive events, giveaways and announcements. You know you're part of FOiT if you probably came to all the iThemesTV live streams, have most (if not all) of the shirts we do, and just flat out love our team. We want to display photos of our customers around our office to remind us who we're working to help every day. We'll never use this photo anywhere else without your permission. We like to send t-shirts from time to time, this will help us make sure we get you the size you want!